Designed to guard and guide pedestrians from floor to height both inside and out. 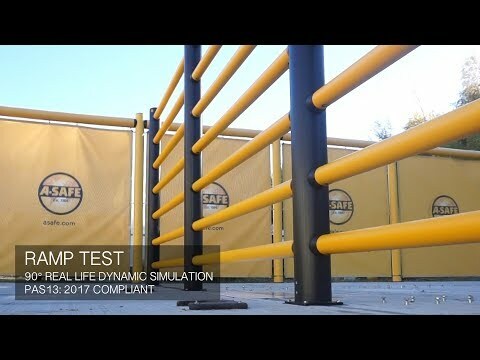 The high level, impact-resisting barriers protect from the lowest to the highest level, enhancing walkways and safeguarding people from moving vehicles, potential hazards, and the dangerous toppling of stacked goods. Ideal for high-storage areas with traffic movement.